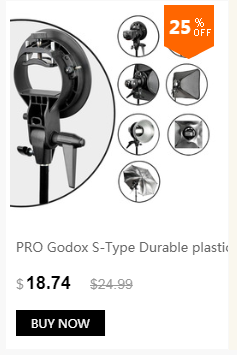 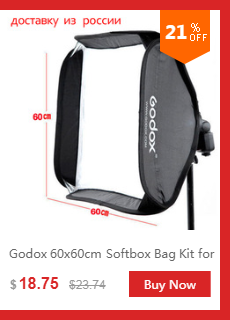 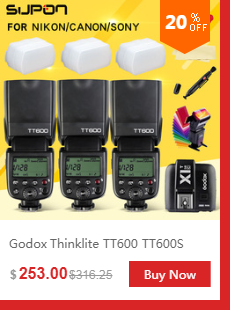 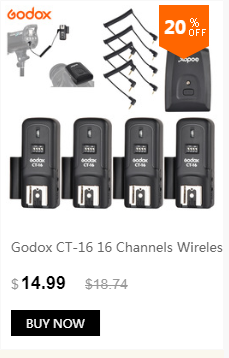 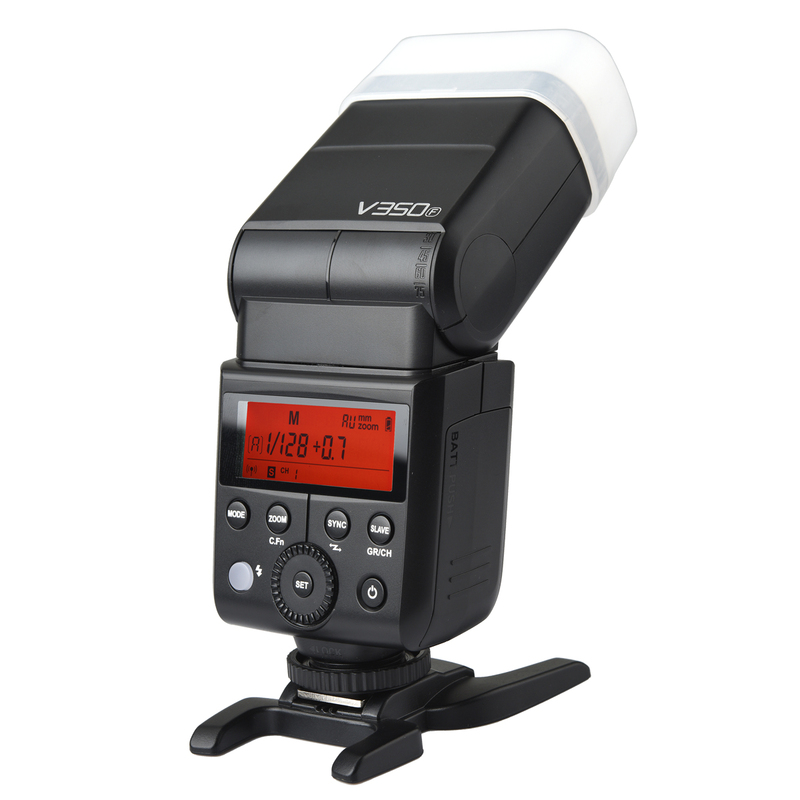 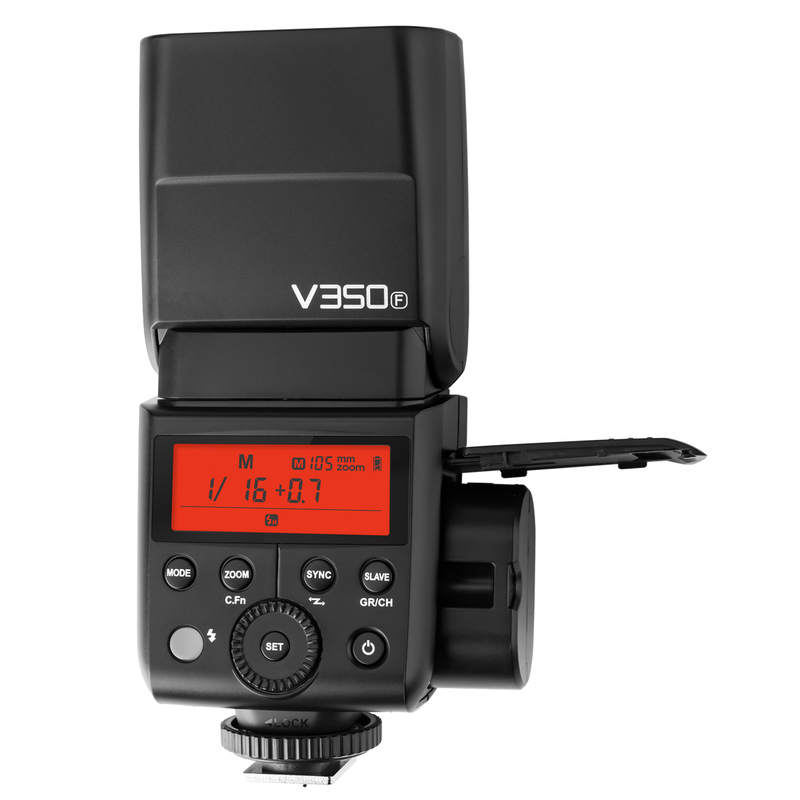 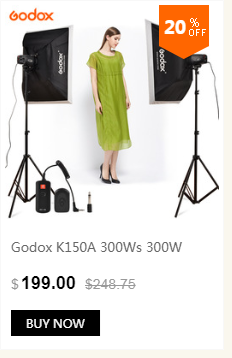 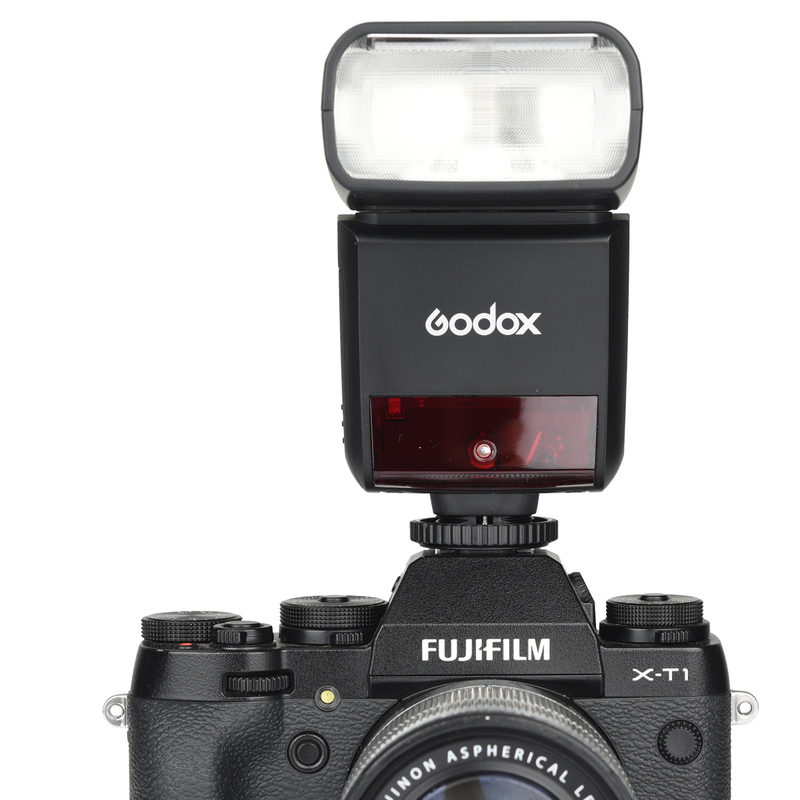 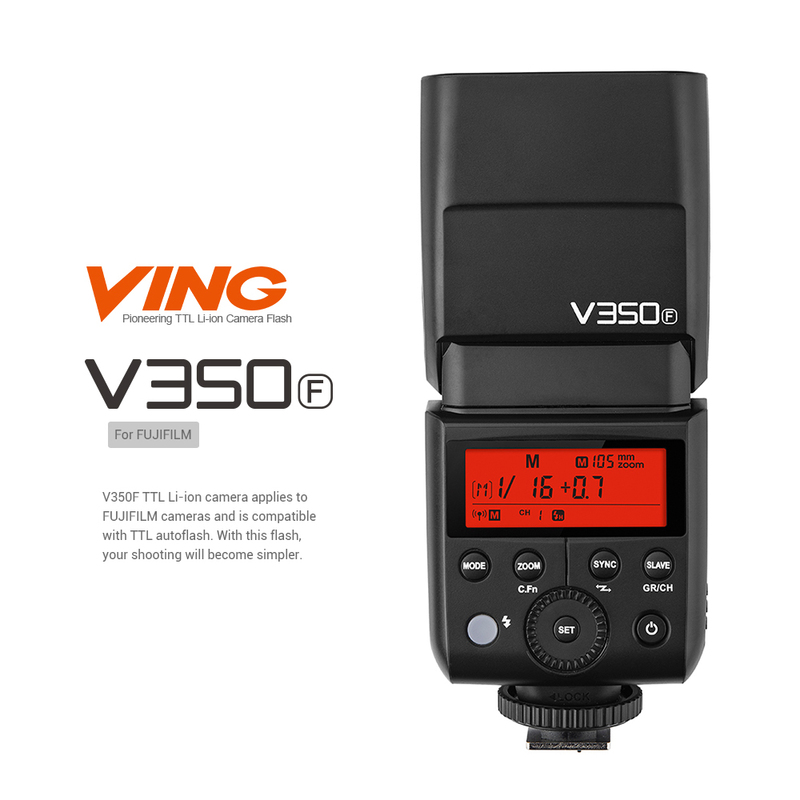 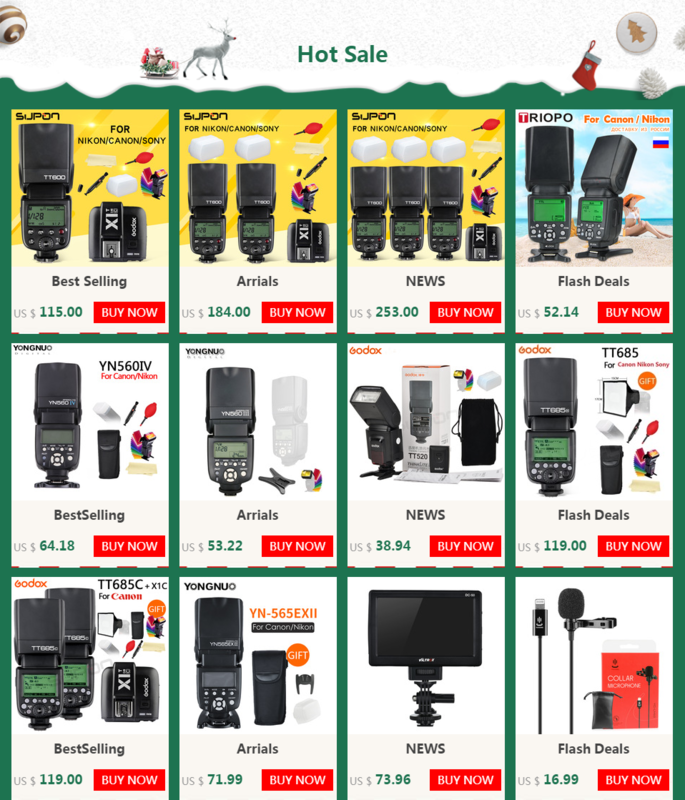 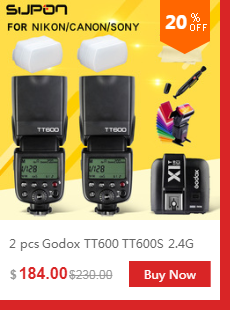 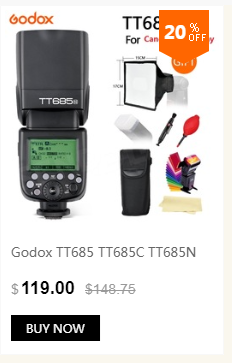 Godox V350F TTL camera speedlite with li-ion battery features 2.4G wireless transmission, TTL autoflash, 1/8000s HSS and can be used as a master or slave unit. 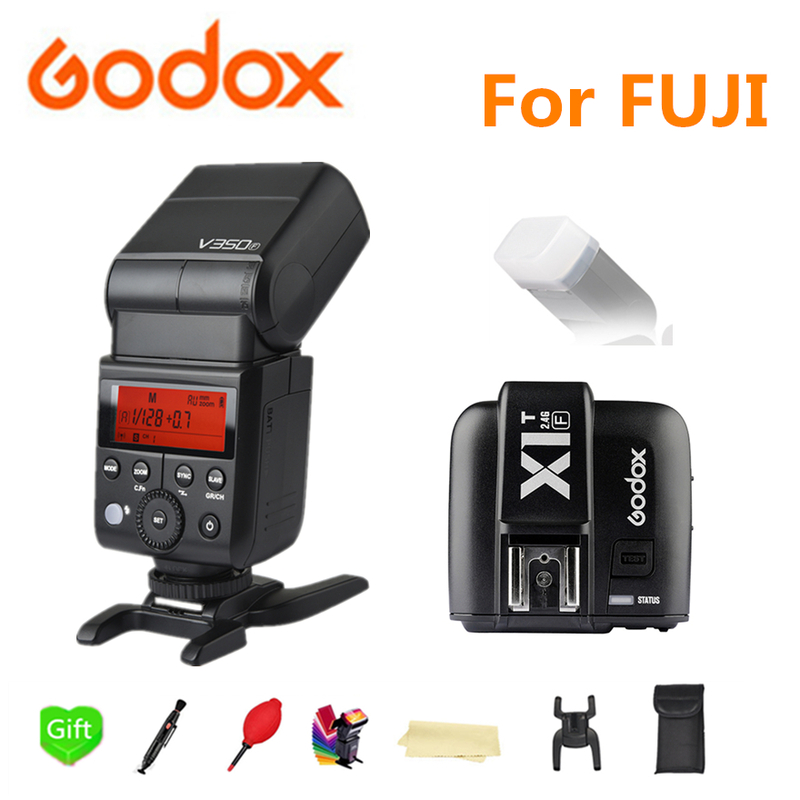 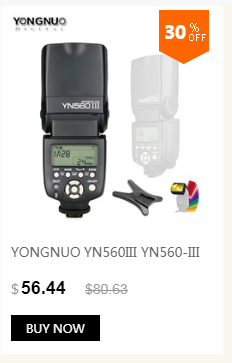 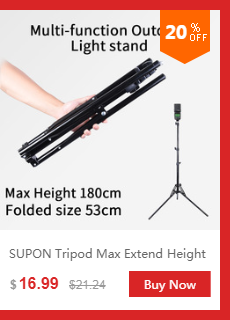 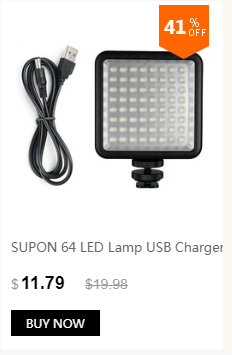 It is compatible for FULIFILM GFX50S/ X-Pro2/ X-T20/ X-T2/ X-T1/ X-Pro1/ X-T10/ X-E1/ X-A3/ X100F/ X100T cameras. 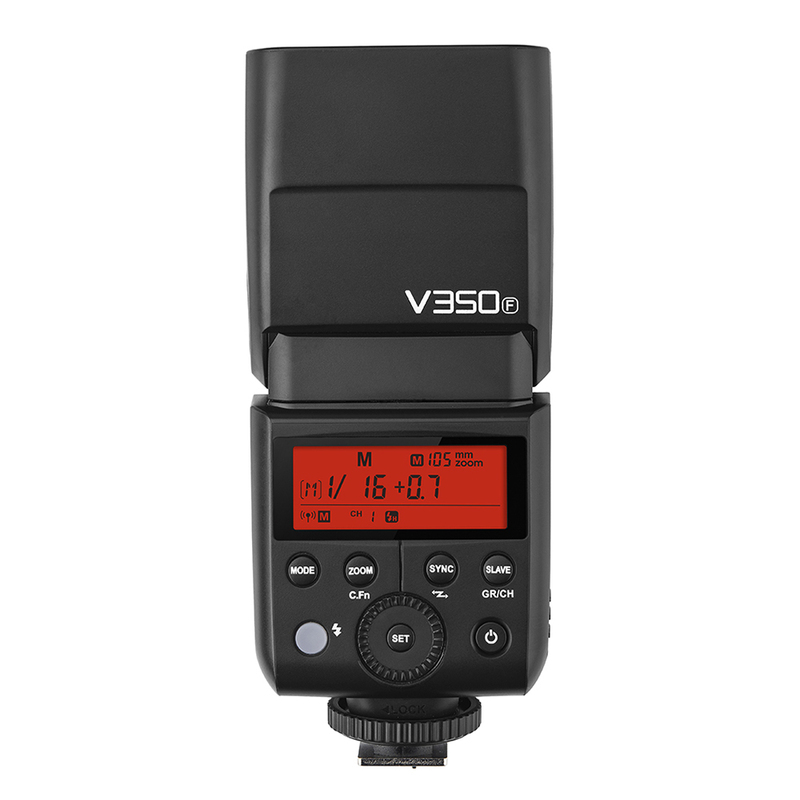 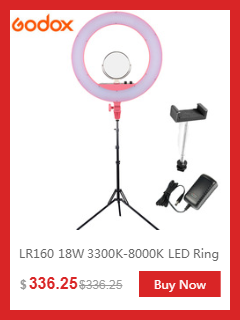 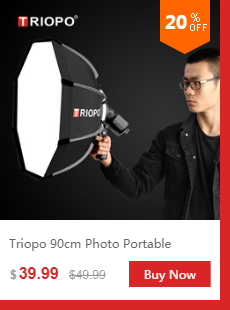 With this flash, your shooting will become simpler. 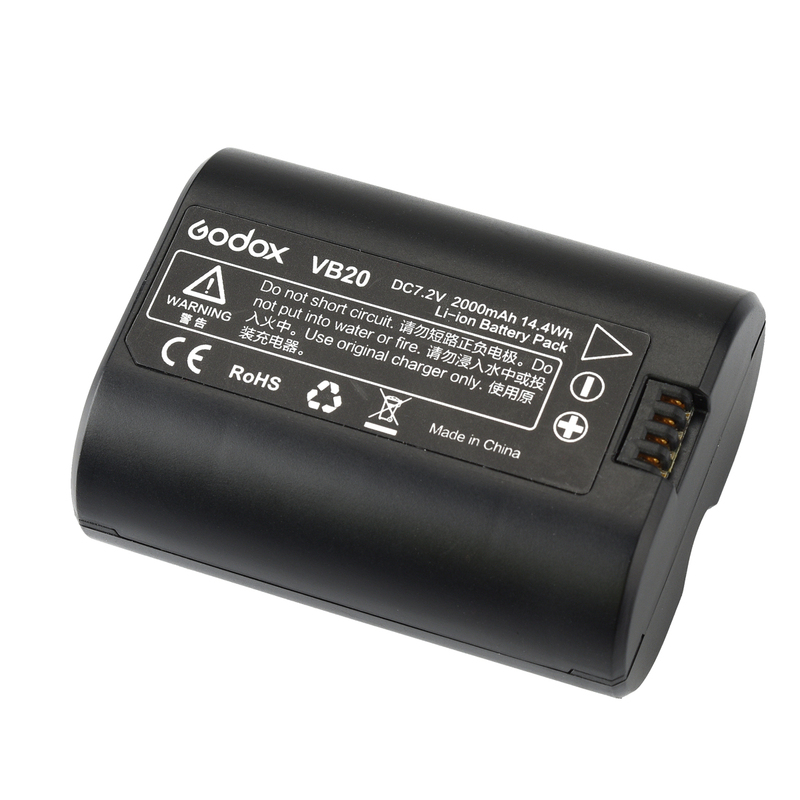 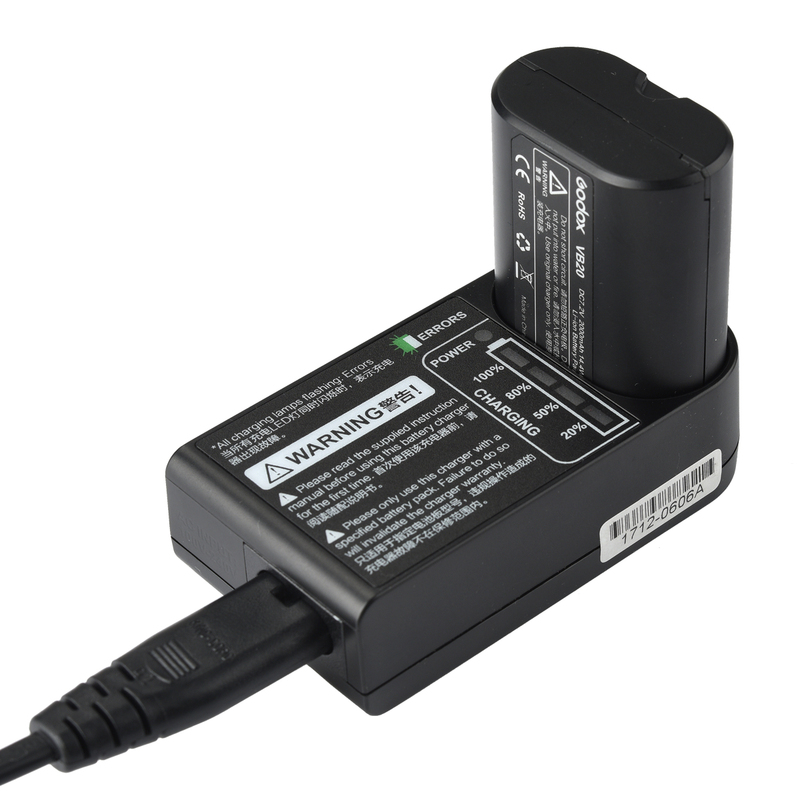 Built-in 7.2V 2000mAh Li-ion battery offers 0.1s-1.7s recycle time and over 500 full power flashes, and comes with battery charger for convenient charging. 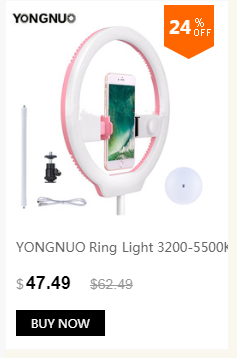 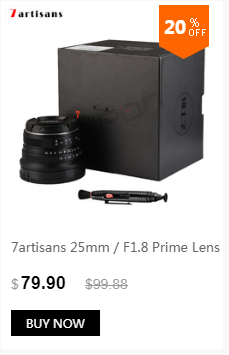 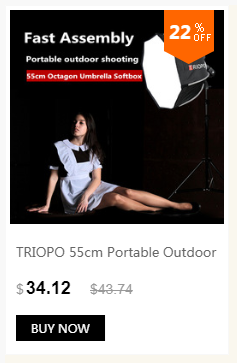 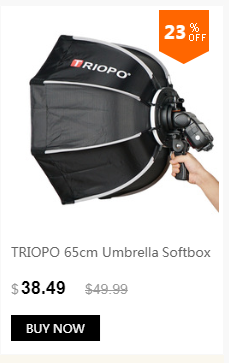 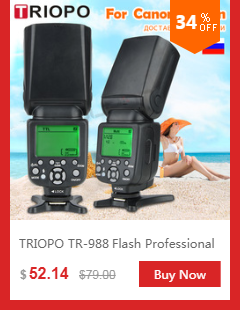 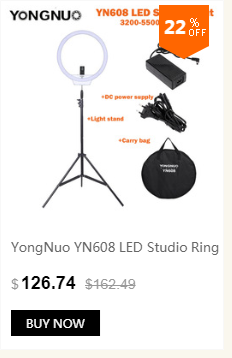 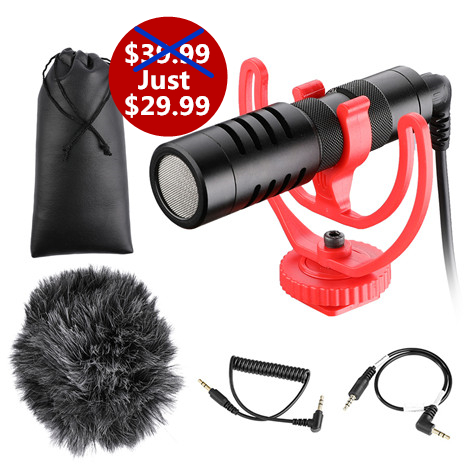 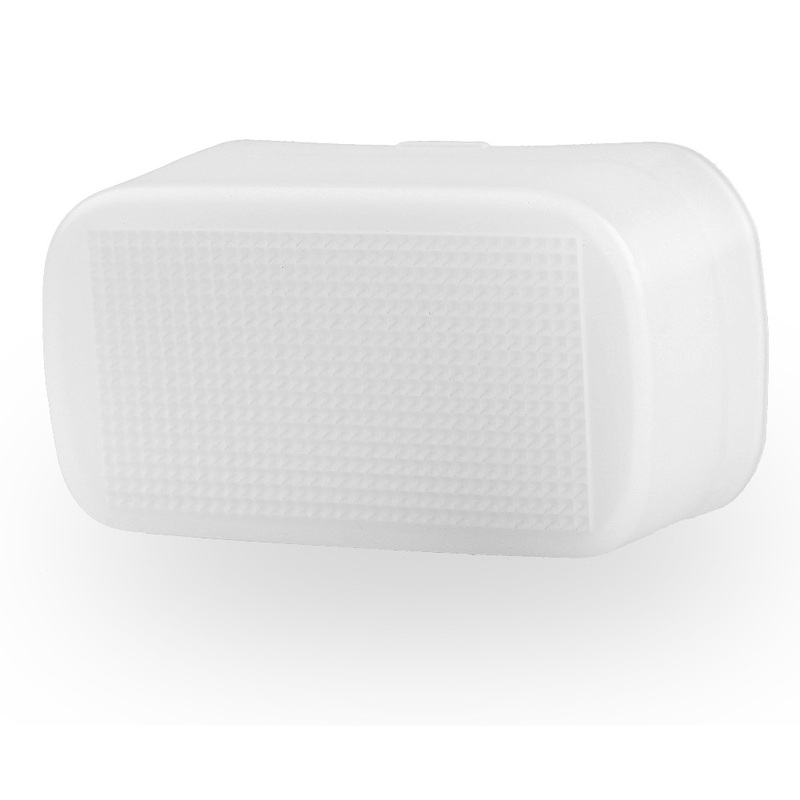 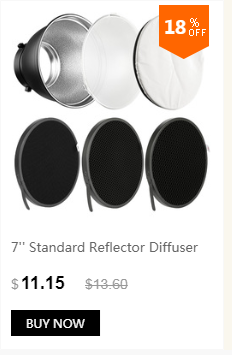 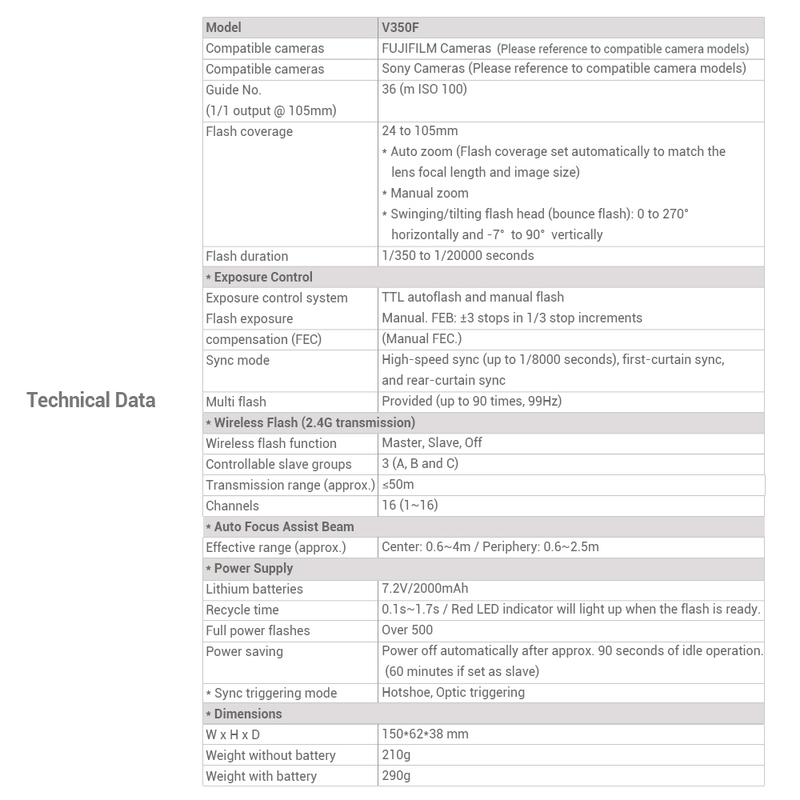 2.4G wireless transmission, supports up to 1/8000s high-speed sync, TTL autoflash, manual flash, multi flash, flash exposure compensation, manual focus assist, rear curtain, etc. 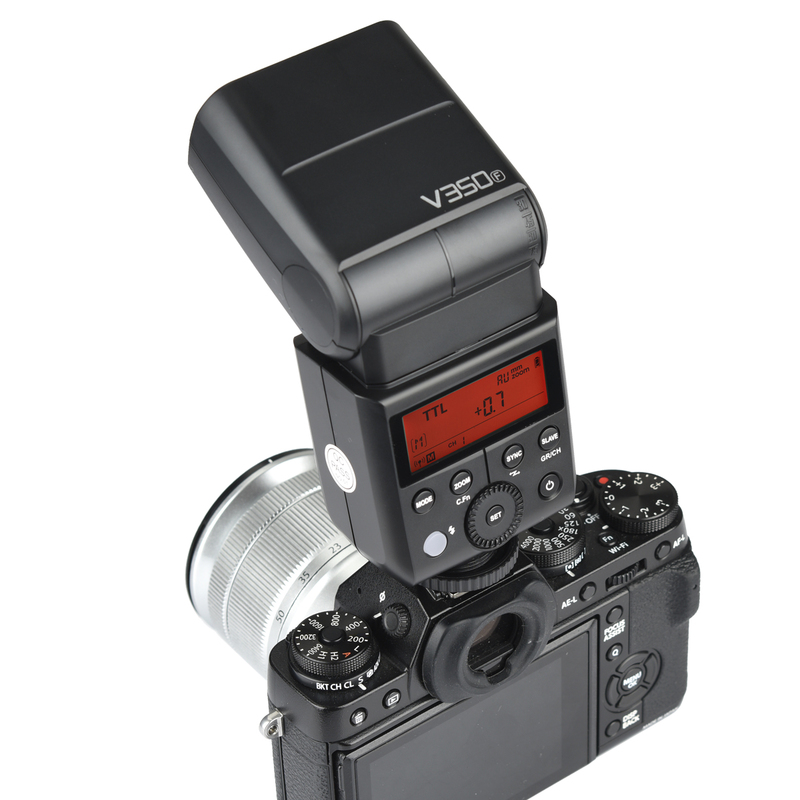 GN36(m IOS 100, @105mm), 22 steps of power output(1/1-1/128), 24-105mm auto/manual zooming, and with C.Fn custom function settings. 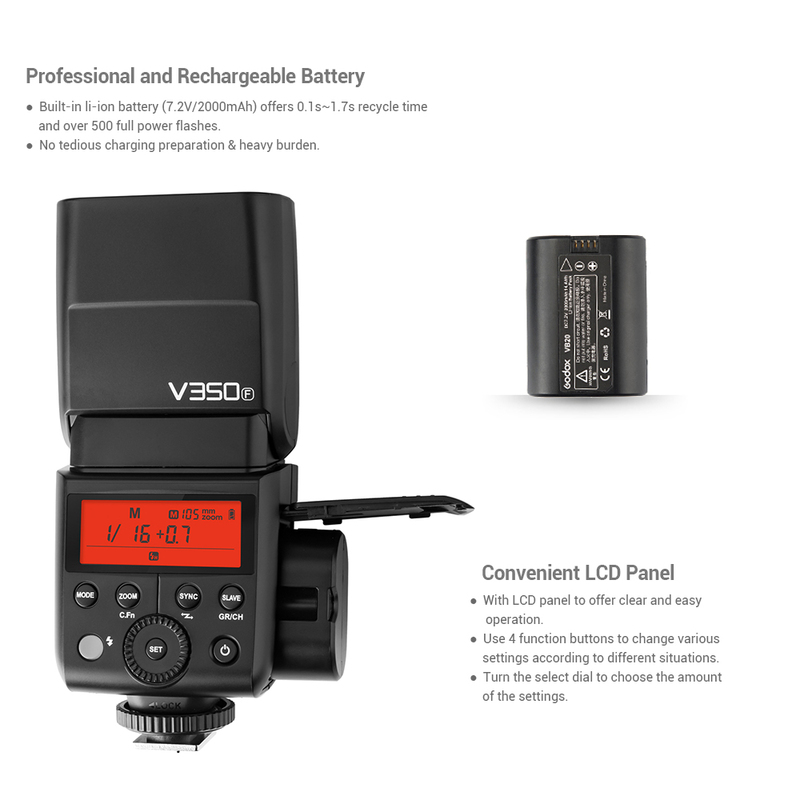 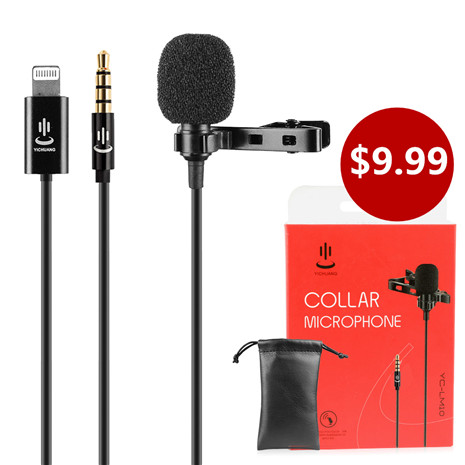 Compact size and lightweight design, with LCD panel to offer easy operation and 4 function buttons to change various settings according to different situations. 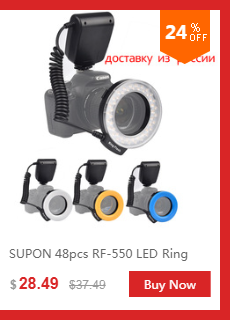 Supports USB fireware upgrade, suitable for FULIFILM camera models as following: GFX50S/ X-Pro2/ X-T20/ X-T2/ X-T1/ X-Pro1/ X-T10/ X-E1/ X-A3/ X100F/ X100T.